Beyond the comforts offered by being able to control the temperature inside your vehicle, your auto’s heating and cooling systems are necessary in preventing your ride from breaking down due to incredibly high operating temperatures. 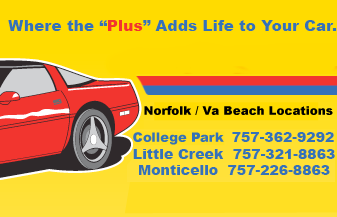 The summer heat in Norfolk and Virginia Beach certainly don’t help, therefore a good coolant system is important here in Hampton Roads. Checking your auto’s cooling and heating systems is particularly crucial in the weeks preceding the subfreezing winter season and the sweltering heat of summer. But it’s more advisable that you check these systems every time you conduct a routine car check-up or you engage in basic vehicle maintenance. Every time you drive, your radiator uses up coolant and water mixture to help lower the temperatures in your vehicle’s engine system. The longer and the faster you drive, the bigger the stress on your engine, allowing temperatures to skyrocket to incredible heights leading to the increase of the likelihood of overheating. Because of the coolant’s crucial role in maintaining your engine’s efficiency, you need to keep your ride equipped with the right coolant mixture (pretty much the same way you’d pick out the right type of gas for your car). Coolant, like all the other fluids used by your vehicle, has a tendency to break down over time. This is why you need to replace your coolant mixture once in a while. When the coolant breaks down, more stress is placed on your radiator and your engine begins to run hotter than normal. Gunk and mineral deposits also build up under your vehicle’s hood, effectively reducing your vehicle’s overall performance. Prolonged use of bad coolant can also result to radiator damage, requiring you to replace your radiator sooner than you actually have to. How Often Do You Need to Flush Out Your Cooling System? The frequency required by your vehicle may depend on the type of auto you own and the weather conditions. If you live in an area that has moderate climates, then you can flush out your vehicle’s cooling system once a year. If, however, you live in an area known for its harsh winters and/or sizzling summers, then you may need to change your coolant mixture twice a year—at the start of summer and at the start of winter. Browse through your owner’s manual for more information on this matter or just ask a professional here at Accurate Tune Plus.